3D modeling for a coffee machine was commissioned by our client for online product advertising. The brand needed high-quality imagery for google, facebook and instagram ads, as well a for Amazon. For that purpose, we’ve created an image on white background and in-context scene. The first thing that jumps into eyes is just how realistic the coffee machine looks. Sleek, clean-lined and elegant, this piece of home appliance is a hero of the scene. It’s filling two mugs with freshly-brewed beverage, and makes the viewer want to be in that scene. Who could guess that it’s not a photo? That effect is due to high quality of 3D modeling. The work on materials is impeccable, so all the textures are stunningly true to life. The thin transparent glass shines in the sun and lets the viewer see multi-colored layers of delicious coffee drinks. Silvery metal surfaces shine in the sunlight, acting as a beautiful contrast to a rough dark background. The scene is so real it almost makes a tactile experience! Furthermore, 3D modeling for coffee machine involved creation of custom props. They look just as real as the main product, and play a crucial role in setting the atmosphere. For the ad goes beyond showing the object and promotes the experience of drinking coffee at home, makes it look like an art. Or a sophisticated ritual – something enjoyable to look forward to in the morning. For why go to Italy to drink the best espresso ever? 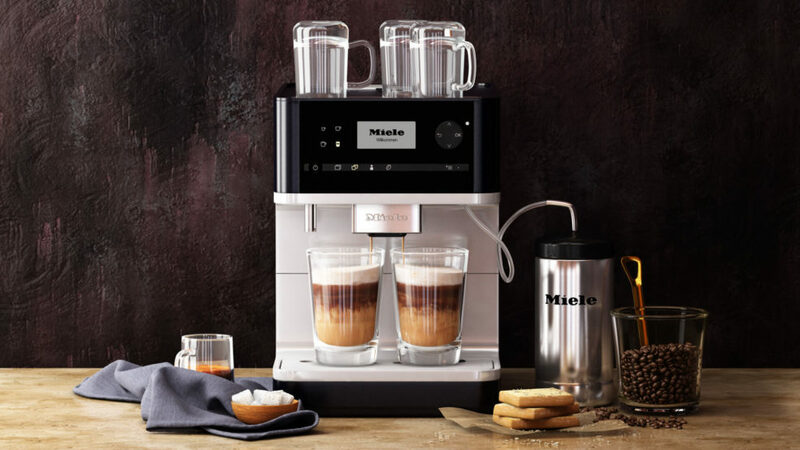 By acquiring the coffee machine, the customer can become his own barista. CG rendering and 3D modeling for coffee machine inspire such thoughts through carefully placed details. Like the above-mentioned props: deliciously-looking Belgian waffles, sugar cubes and coffee beans make the audience feel the rich flavor, smell its aroma and remember the way he or she prefers it to be brewed. Need 3D modeling services for your product? Contact UFO3D and get the top-quality imagery for your advertising campaign!